World champion – for the second time – and historic within Swedish motorsport! 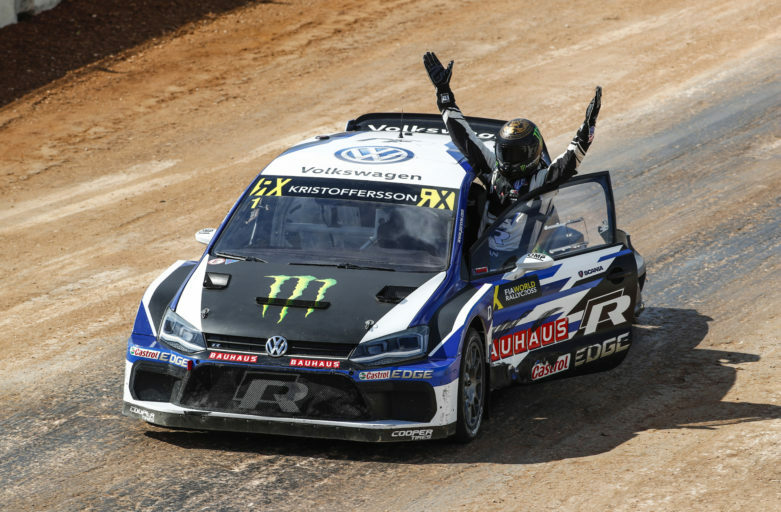 After another great triumph at the Circuit of the Americas in the USA, Johan Kristoffersson once again proved that he rules the FIA World Rallycross Championship. Two rounds remain but the title is already secured by the Volkswagen star, who took his ninth victory of the season. ”What an incredible feeling! The title is what I came here for and it’s amazing to have it secured. There was some pressure at practice and in the qualifying heats, and sure I thought about the championship, even though I tried to push those thoughts back” said the delighted champion. 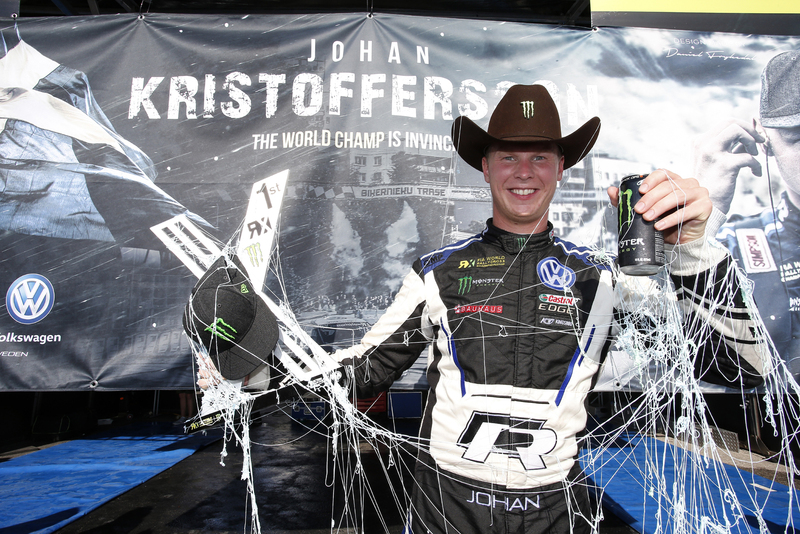 At the brand new track for the World RX in Austin, Texas, it wasn’t a given win for Johan Kristoffersson. In fact, the PSRX Volkswagen Sweden giant had a rough start of the weekend. “I got stuck in traffic so it didn’t look too good in the beginning” confessed Johan. A 13th and second quickest time in Q1 and Q2 placed him in fifth overnight. Like several times before, the Swede had a much better Sunday. After setting a third fastest time in Q3, he took the win in Q4. Those results put Johan and his Polo R Supercar next to his team-mate Petter Solberg in the first semi-final. Solberg impressed during the weekend and he also won the semi-final with Johan just behind. But the five points that Johan picked up were enough for him to secure his second world champion title with two rounds to go in Germany and South Africa. So there wasn’t much celebration right away. A champion behaves accordingly and Johan was fully focused on the final. “I was in race mode and there wasn’t time to think about anything else” said the world champion. From second row in the final, Johan immediately went for the joker lap and with that he took a fierce battle with Mattias Ekström. Johan was the strongest one this time and could continue chasing the lead. It looked like he would have to settle for second place behind Solberg, but on the fifth lap, Johan’s team-mate and team owner went wide. Johan saw his chance and that took him to his ninth triumph in ten rounds – and his 18th victory overall in the World RX. With this win, Johan Kristoffersson becomes historic since he is the first one within Swedish motorsport who has two world champion titles on senior level. The season continues for the two-time world champion in Germany in two weeks before heading to South Africa for the final round in the end of November.